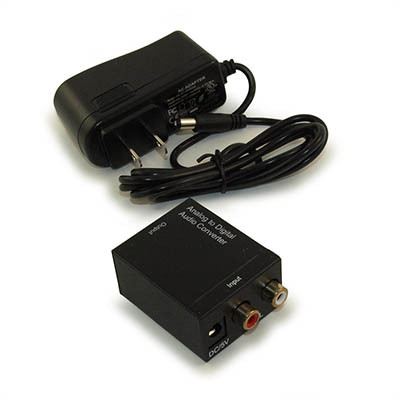 This Analog to Digital Audio Converter is designed for either home or professional audio switching. 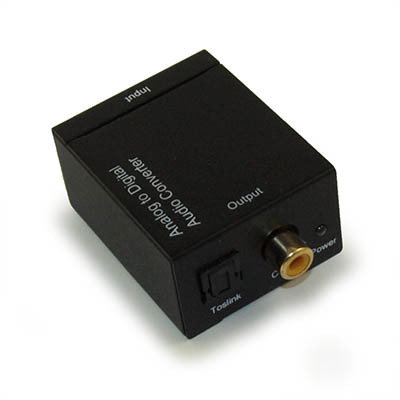 It convert analog stereo audio signal from R/L input to Coaxial and Toslink outputs simultaneously. The output digital audio signal is 2-channel uncompressed LPCM (Linear Pulse Code Modulation) with sampling rate at 48 KHz. 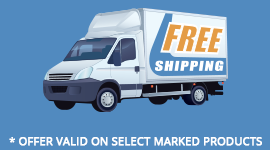 This Converter is small in size and quite easy to install.